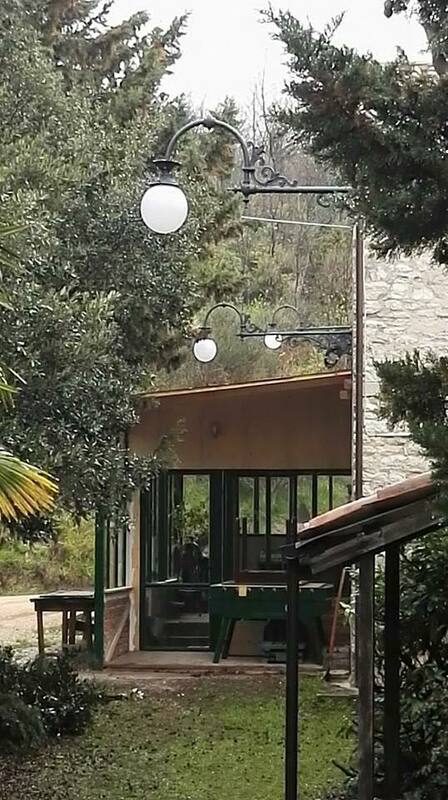 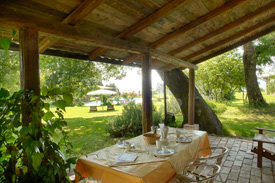 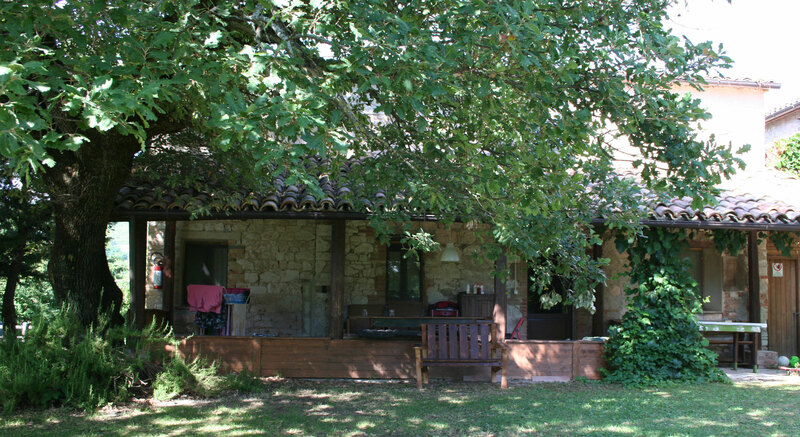 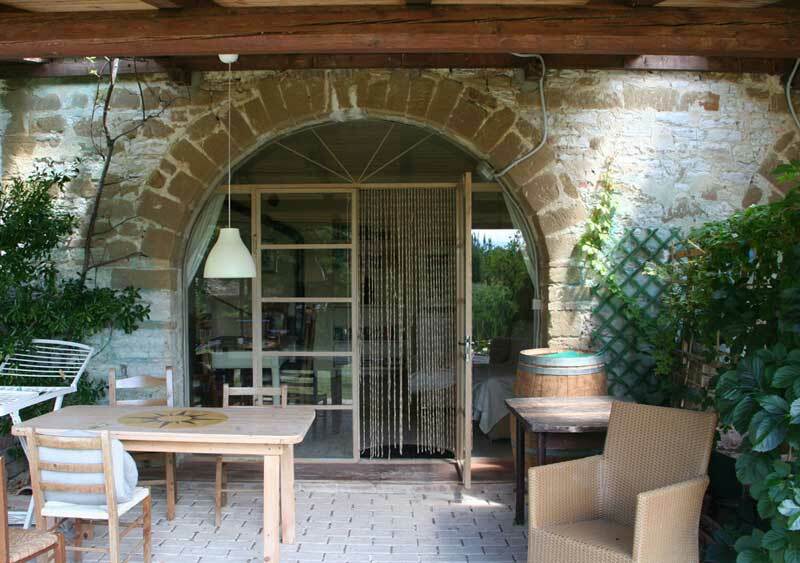 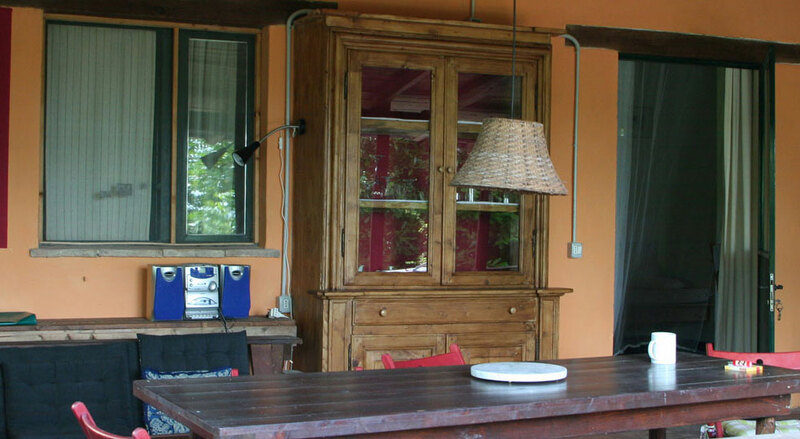 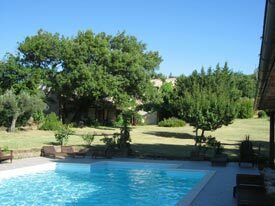 Amazing Rental Property for 4 persons with large veranda and swimming pool in Marche, to enjoy Italian summer. 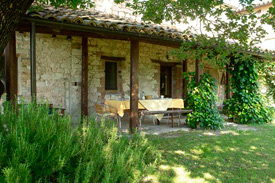 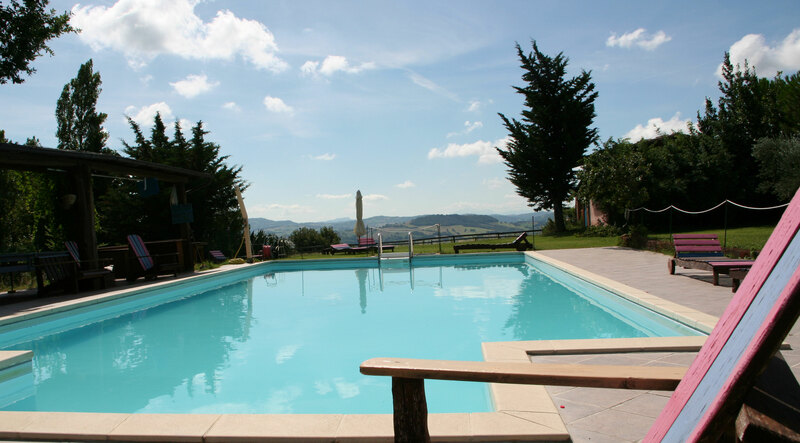 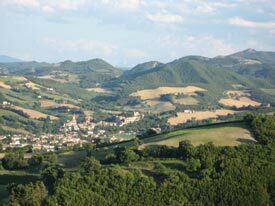 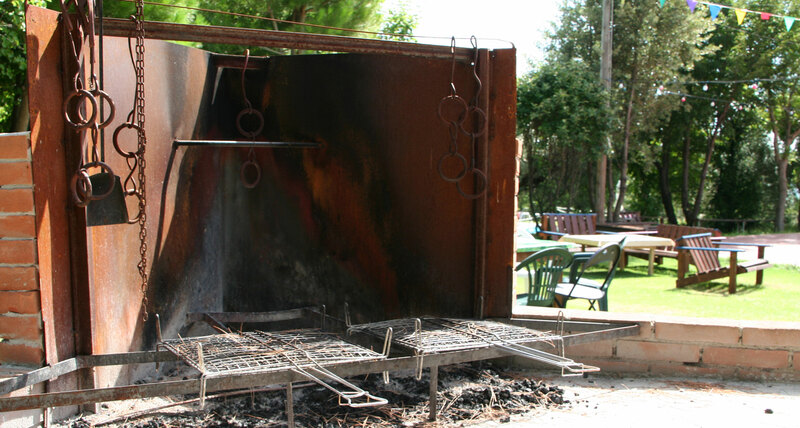 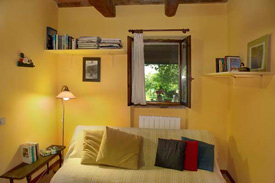 Rental Property for 4 persons with swimming pool in Marche Italy. 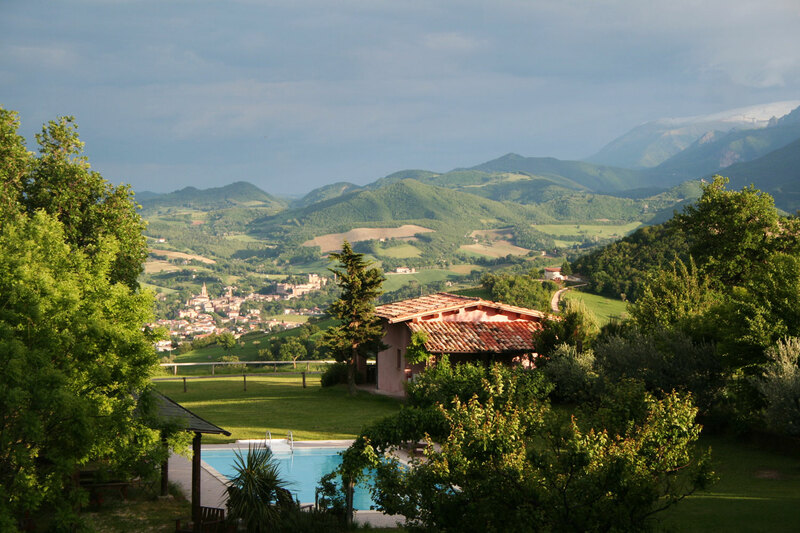 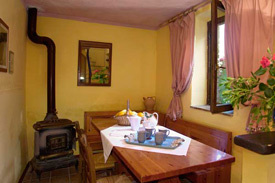 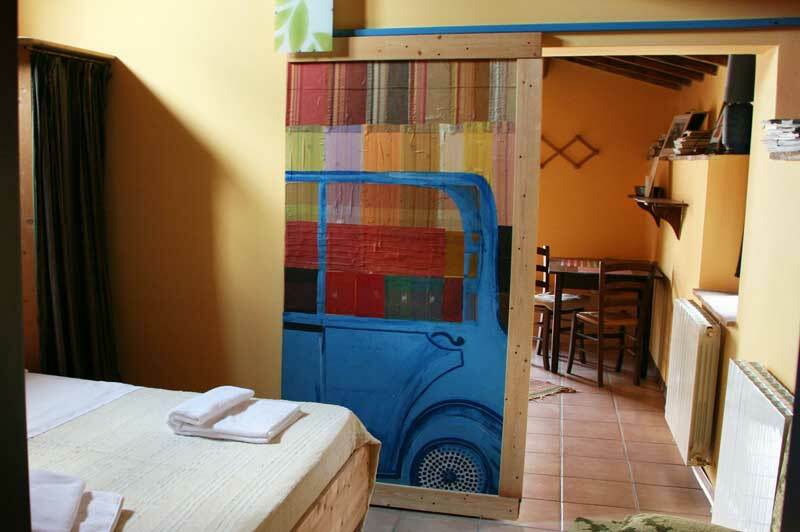 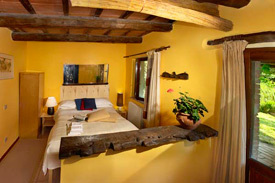 Casa Viaggiatori (sleeps 4+1), 80m², Self Catering, two bathrooms, two bedrooms, living, fully equipped kitchen, outdoor patio for dining and breathtaking 300 degree views of the Sibillini mountains. 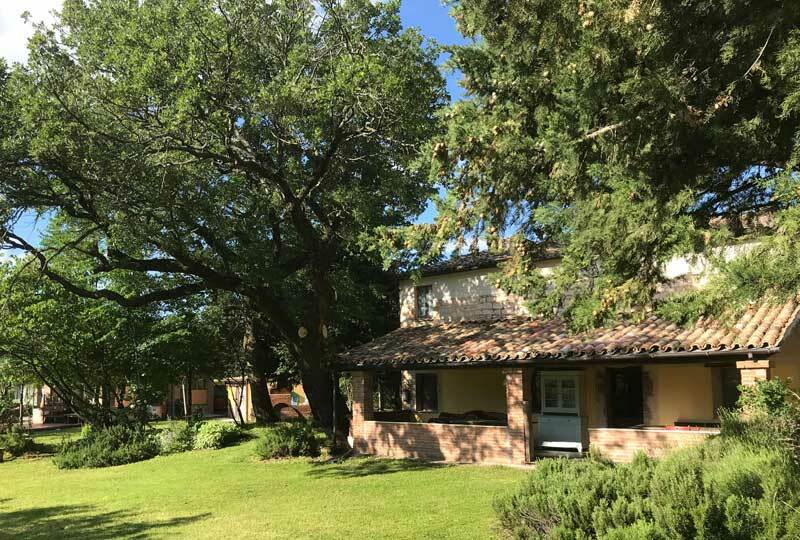 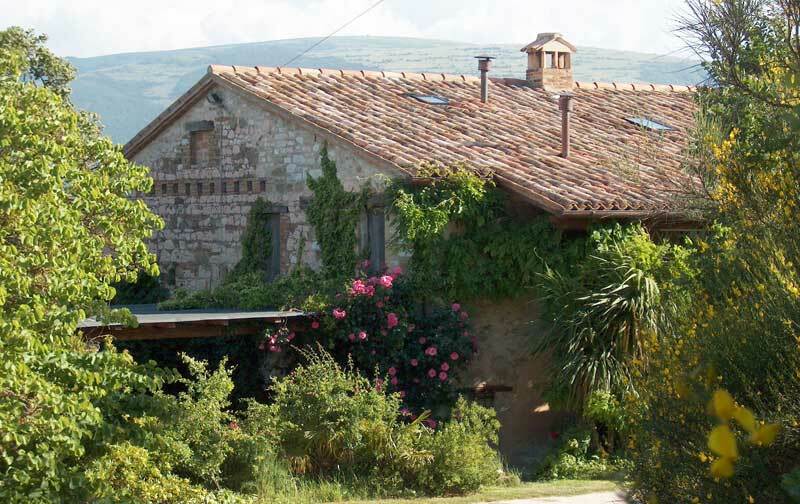 This beautiful country house is spread over two floors with a really big wooden veranda in front with dining table and sofa, where you can enjoy the gardens and the panorama over the fields and the Sibillini mountains in the Marche. 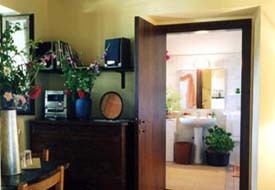 The apartment has two bedrooms, a double bedroom at the main floor and a twin on the first floor, a sittingroom with futon bed-settee, radio and CD player. 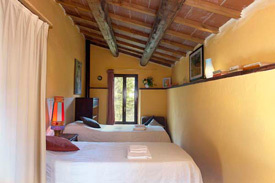 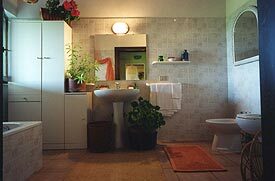 Two bathrooms: one with bath-tub, wash-basin, bidet and toilet and the other with shower, wash-basin, bidet and toilet. 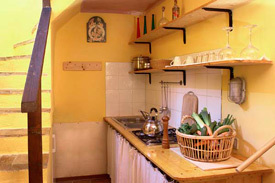 The fully equipped kitchen with dining table leads through a second entrance to the back of the house.